Over the years I’ve attended numerous rugby training sessions for everything from coaching to refereeing to administration. 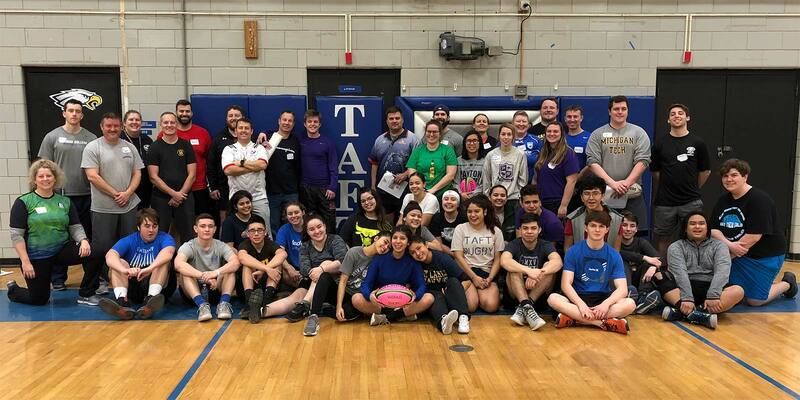 But the USA Rugby coaching clinic I attended last weekend at Taft High School in Chicago, IL was hands-down the best clinic I have ever attended. 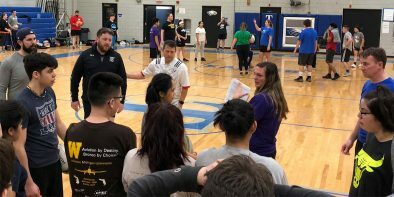 First, the World Rugby educators — Mary Swanstrom and Jessica Burda Leslie — were top-notch facilitators. They were professional, effective, and great all around. In addition, the clinic participants were generous and eager. The personality traits and skill levels spanned a wide spectrum, but everyone was enthusiastic and friendly. But the best feature was definitely the participation of the boys and girls in the Taft rugby program (seated in photo, above). 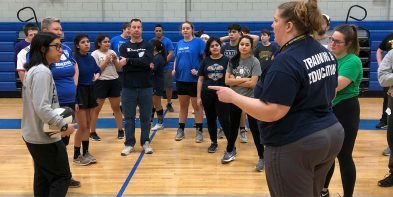 Before I explain why the participation of these student athletes was so helpful, some background is needed. The format of the coaching clinic was a combination of group discussion and hands-on coaching. Typically, the clinic attendees (i.e. coaches) take turns as either coach or player during the hands-on portion. In our case, more than 20 student athletes spent the 8-hour clinic helping us with the practical aspects of the training session. In other words, we had actual players to coach who were in a position to give authentic feedback. In addition, the youthfulness of the players added an infectious positive energy to all the practical sessions. 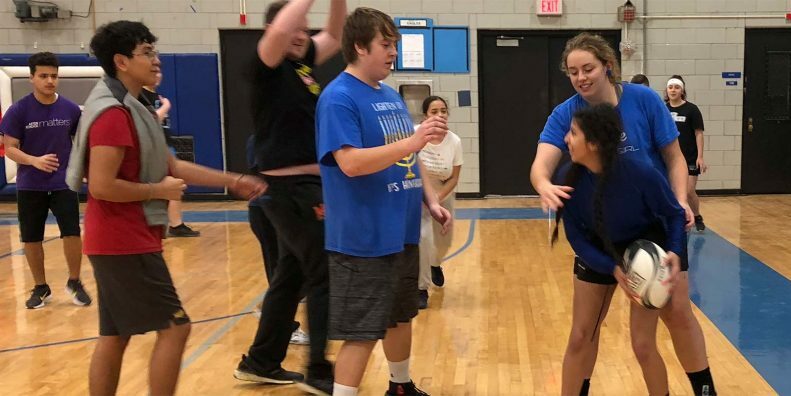 Finally, by not having to role-play as a player, I personally felt that I had more time to observe other coaches as they worked with the students. As a result, I learned more from observing the other coaches than I might have otherwise. So if you’re attending a coaching clinic with practical exercises, be sure to ask wether or not actual players will be on hand to assist. And if you’re hosting a coaching clinic, be sure to reach out to your local High School or collegiate teams and invite them to participate. Just don’t forget to order enough pizza to feed them all! We would love to hear about your coaching clinics. Were they dry or exciting? Hands-on or lecture-only. Were student athletes involved? Let us know in the comments below.